Learn what you can do to help elevate your sales reps and transform them into thought leaders with a few quick and tactical steps. In surveys asking sales leaders what their top goals are, “acquire more customers” is generally a top goal that’s cited. With the aggressive growth targets we have for our teams, is there any wonder that sales leaders often feel that their sales professionals aren’t having enough conversations in the market? So why is it that prospects frequently turn down our requests to meet? There has always been reasons like sales people are too aggressive, too pushy, etc. And then layer on what Daniel Pink discovered in his book To Sell Is Human; when asked to offer views on sales people, the words that came to mind were sleazy, cheesy, etc. They’ve got money, we’ve got solutions. Let’s get the show on the road already. But the challenge is this: no one likes to be sold, yet everybody wants to buy. In fact, in a LinkedIn study conducted in September 2014, buyers were asked what attributes they look for in sales people on LinkedIn. The top answer came back was someone that’s a thought leader. If this is the case, shouldn’t this be a focus area for sales leaders today – to convert sales professionals into thought leaders? Only if it were so easy. Company executives, including sales leaders, don’t seem too keen on this idea. In fact, I’ve personally had very pleasant but firm disagreements with sales leaders who insist that the job of a sales person is to sell – not to sound like an expert. Additionally, the status quo and comfort of doing things the same old way persist, despite ample data that buyers have changed and have become more digitally-driven and socially connected. Forget about blogging, sales professionals aren’t even encouraged to share content – and that goes for all of you reading this who have invested thousands (sometimes hundreds of thousands) into Employee Advocacy platforms. In a recent study our firm did, we found that, on average, only 20% of sales professionals are sharing content. And that too about once or twice per week. Here’s the best part: your sales people are inherently have expertise. They’re just not able to convey it if they can’t talk to anyone. It’s time to help them convey this expertise in multiple areas: not just on the phone and email, but also on digital and social channels where buyers are frequently starting their research process. What can you do to elevate your sales professionals? Below I share some quick tactical steps to begin the journey. Step 1: What Will You Publish? This is where sales professionals have the most confusion. Ideas are everywhere! We are living in an idea economy. But if you still struggle, how about writing about what your buyers are finding difficult in the market, or naturally have questions about? Sales typically has their ear to the ground and they’re very aware of what the market is talking about. · Visit the top LinkedIn Groups where buyers hang out and sort discussions by popularity. · Browsed through these questions – this is what was top of mind for most of his prospects. · He came up with 3-5 reasons on how he’d tackle these challenges. The end product was a 400-word blog that was tactical and simple to follow. If you’re wondering where your sales professionals can post content, remember that they can publish posts natively in LinkedIn. Their posts will automatically be shared with their network. Remember, this is a test to garner engagement and generate sales conversations in the market. No need to get marketing involved (unless policy requires, of course) and ask if you can publish to the corporate blog. These discussions could take a while. All we’re doing at this stage is iteratively testing in small bursts to validate a result. In the above example, the Fleet Management Sales Pro sells to a few different buyer types in the org. Namely, CFO’s and other Sr. Finance Leaders, Operations Leaders, Procurement Leaders, etc. He had done enough research by joining the right LinkedIn Groups and seen people with those titles ask very specific questions. In his next step, he simply posted that same blog back as a discussion in the same LinkedIn Groups. The results were outstanding – over a dozen likes and 45+ comments. He then engaged with all the people that could be potential prospects. 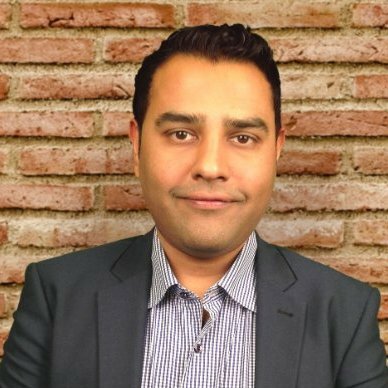 Connecting on LinkedIn became easier and he followed up with more engaging content from his company. The net result was 4 net new prospect appointments generated within the first 2 days. Why were prospects so eager to talk to him? It’s because his thoughts and solutions differentiated him. Concept validated. Welcome to the early beginnings of thought leadership. What’s fascinating is that this sales professional still continues to use this blog to market to prospects. As you begin this process, you will encounter some common hurdles. Firstly, you’re wondering if you should turn your entire sales force on for concept validation. The answer is no; you want to try this with your most productive reps. They’ll find the 30-45 minutes to write the blog. Secondly, should the sales professional’s work be “look over” for accuracy? If you feel the need to check, then yes, absolutely. Glance over the work to ensure it’s okay for spelling, accuracy, grammar, etc. In short, have no qualms about ensuring compliance. Lastly, how often should you publish? As with all good things in life, habits are built through repetition. Set a cadence that you’re comfortable with and execute rigorously. Thought Leadership doesn’t need to be complicated or require oodles of help from your marketing team. I firmly believe that the collective brain trust that is your sales team contains ideas and power that can help transform the lives of your buyers. Isn’t it time to start showcasing some of this talent? It’s time to go forth, start, execute and prosper! Sales conversations await. Do you think your sales team is ready for blogging? If so, check out our eBook The Sales Manager's Guide: 5 Proven Ways to Drive Social Media Adoption and Revenue to start guiding your team today. 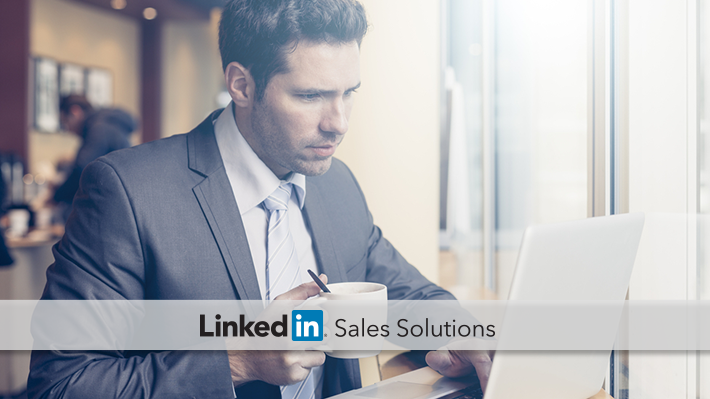 What Is Social Selling to the Modern Sales Team?